Tufwell Glass can now offer clients the option of heat soaking their toughened glass. 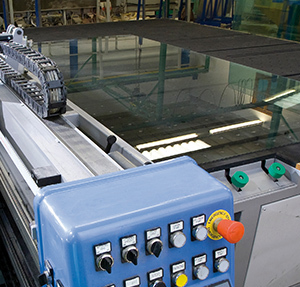 This specialist process, carried out after glass undergoes tempering, aims to reduce the risk of spontaneous shattering in toughened glass caused by nickel sulphide inclusions. While the risk of spontaneous breakage is very small, for applications where this could cause injury or incur high replacement costs, we recommend that you consider heat soaking. This could apply to glass balustrades, glass doors, glass partitions, sloped overhead glazing, spandrels and some structural glazing. Tufwell has its own heat soaking facilities and can carry out treatment on toughened glass sheets up to 2400mm x 3600mm and in thicknesses between 6mm and 19mm. You can find out more about the heat soaking process in our blog, or get in touch with us directly.